428- 110 Links. Designed and manufactured in Japan. Hardened and shot peened components. Solid rollers, pre-stretched. 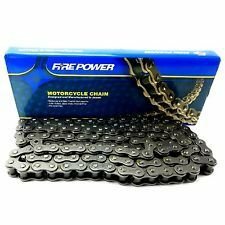 All chains supplied with clip-style master links.